The clinic is easily accessibly via US-101, CA-85, CA-87 and I-280. We are located off the the major throughway Monterey Hwy. On-site parking for cars and small trucks. Nearby and street parking available for large commercial vehicles, bus and tractor-trailer. Same day appointments available via phone or on the website. Our experienced team of physicians and clinical staff is ready to meet the healthcare needs of commercial drivers. Our providers are DOT certified and the results are instantly available for the drivers. Our staff is ready to meet the needs of your busy schedule. We are open after hours and on the weekends, and offer same-day appointments. Walk-ins are always welcome. 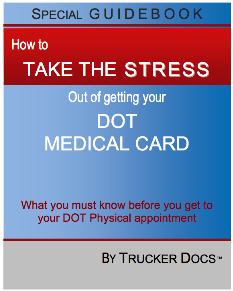 We take care of your DOT Medical Card process and get it done right the first time at Instant Urgent Care! For more information see our Instant Urgent Care website. Serving California local areas: Santa Clara County, Monterey County, Alameda County, Silicon Valley, San Jose, Campbell, Santa Clara, Milpitas, Union City, Fremont, Hayward.